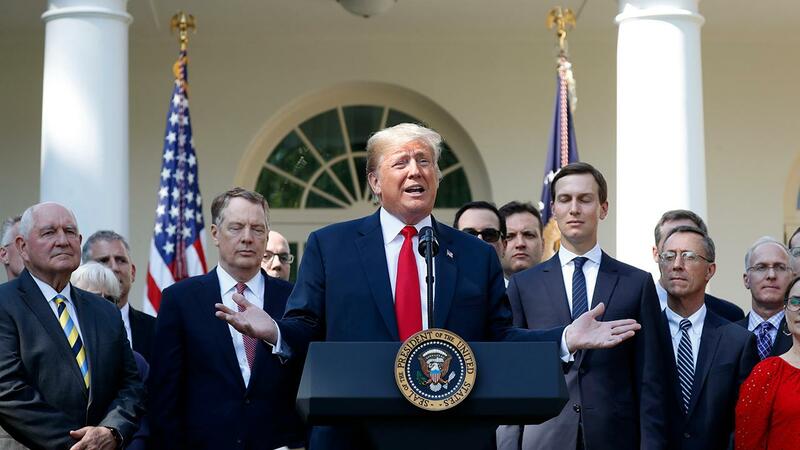 President Donald Trump says his administration uses tariffs to negotiate trade deals. Gillette maker Procter & Gamble (P&G) has become the latest razor giant to get exempted from the 25 percent U.S. tariff on imported steel from Japan and Sweden. Reuters was first to report the news after P&G was informed on Tuesday that it received the greenlight from the Department of Commerce’s Bureau of Industry and Security to get a pass. The decision comes nearly four months after P&G’s biggest razor rival, Edgewell Personal Care Co., which makes Schick and Wilkinson Sword brand razors, received an exemption. An Edgewell spokesperson told FOX Business that it filed an exemption application in late March and was granted the pass in mid-June. Both P&G and Edgewell’s argument was that U.S. steel manufacturers are not able to supply the high-quality grade of steel needed to make its precision razor blades and that the end result would lead to higher prices for American customers. While a P&G spokesperson did not immediately respond to FOX Business’ request for comment, the company told Reuters that its decision to file for an exemption came after the tariffs were “definitely” having a “financial impact” on the company’s bottom line. Without disclosing any numbers, P&G notes that both its Gillette and Venus brands account for about 10 percent of its global net sales, which were about $66.8 billion last year. "It wasn&apos;t materially market-moving, but given the competitiveness of this industry we think it is important and significant," the P&G spokesperson said. In March, President Trump imposed a 25 percent tariff on steel imports and 10 percent on aluminum imports from most countries and then added the European Union to the list in June. According to the Commerce Department, as of mid-September, the Trump administration has approved more than 2,500 requests from companies to have certain products exempted from the tariffs.